In order for us to pay you for the work you do for us each week we need you to complete a timesheet and have your hours signed by the foreman on the site you are working on. Timesheets must be filled out completely and signed by a site foreman each week. If you are in the area, dropping it into the Construct office. You will be sent a confirmation text after 4pm on a Monday if we have received you timesheet. If you do not receive this text message by 4pm please contact the Construct office 020 8993 1001 as there may be an issue that needs to be resolved. One timesheet per person per site, even if it is for the same company you must complete a new timesheet for every site you work on. No timesheet no pay, if you do not get a timesheet completed and signed you will be expected to go back to site to get it sorted before payment for you work will be made. 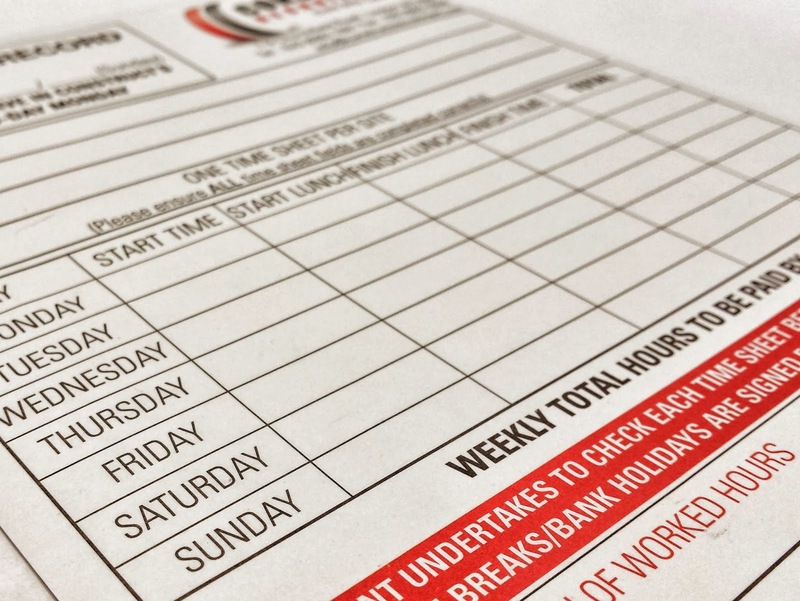 If you are running low on timesheets contact the Construct office and we will post more out to you or you can download and print them from http://www.constructrecruitment.com/downloads. If you have any questions give us a shout on 020 8993 1001 and we'll be happy to help.